Hi! My name is Lily, and I love to craft and bake with my mom. And today I’m showing you how I made some fudge with my mom. And we’ll be making more desserts each week so I hope you come back every Saturday to see me bake. I hope you smile when you see me bake. 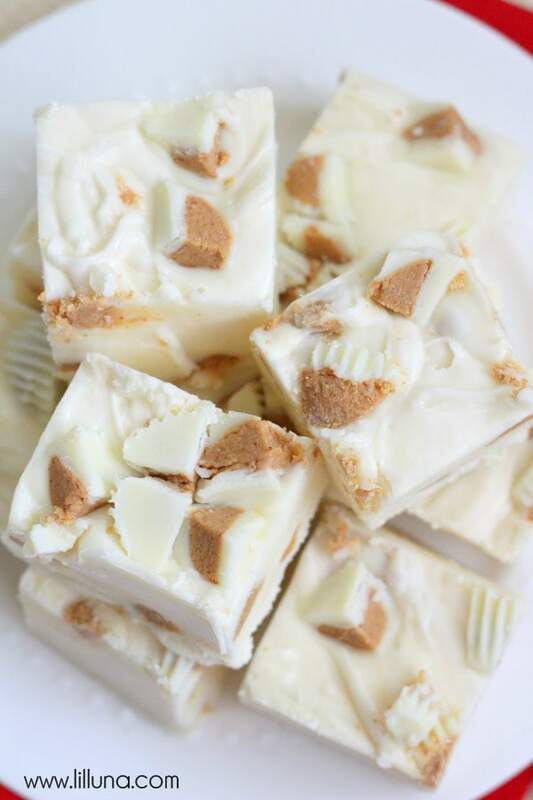 White Chocolate Reeses Fudge-so easy & good!! 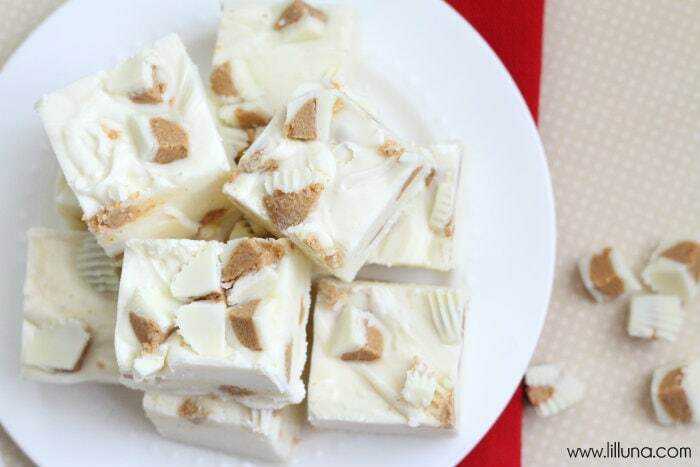 Recipe includes white chocolate reeses, white chocolate chips & marshmallow creme! We started by peeling off all the White Chocolate Reeses wrappers and cutting them in fours. Then we put parchment paper on the 9x9 pan. This keeps the fudge from sticking to the pan. Put the white chocolate chips and marshmallow fluff in a big bowl. Set aside. In a pan melt the sugar, heavy cream, salt and butter on medium heat until it starts to boil. Cook for 5 minutes. Pour the hot stuff into the bowl of chocolate chips and mix with the blender until it's smooth and soft. Mix (fold) in half the White Chocolate Reeses. Pour into your pan. Sprinkle the rest of the Reeses on the top. Put in the fridge for 3-5 hours to let it set. Hope you like it! This is when it’s all finished and I took the photo shoot of it. I’m grateful that I was hired by my mom to be a part of her team. It’s super great “meeting” you, and I hope you like the fudge! This was Lily’s first post and she was SO excited to share it with you. She took all the pictures of the final product after I set things up on the tripod. I, of course, edited the pics, added the text and uploaded them on here. 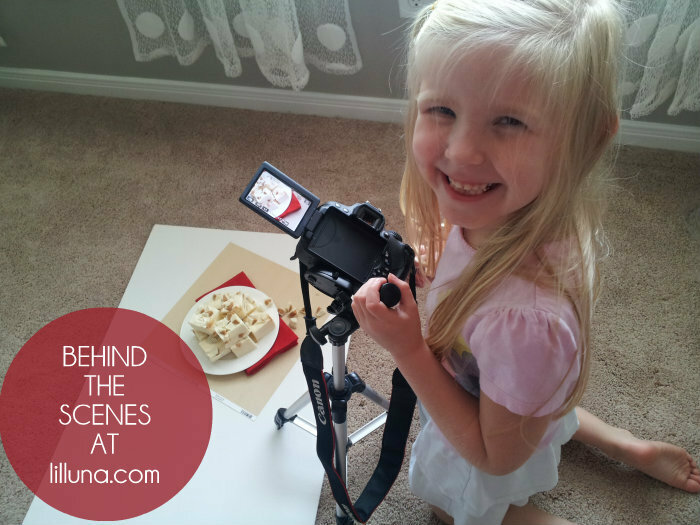 I’m so happy that she can be even more involved on the blog. And I’m even more happy to be teaching her a little about blogging! For all Sweet Treats by Lily go HERE. For all Dessert recipes go HERE. I got to try some of the super delish fudge (Marie brought some that you gave her over to me 🙂 ) ! I didn’t know Lilly made it. SO YUMMY! Thanks for sharing. Lilly you are darling!! Your fudge looks so yummy!! What’s not to love about white Reese’s cups? Amazing! I can’t wait to try this recipe!! Love it! Thanks so much!! I love the look of the fudge and Lilly is beautiful Just one question for me did you mean jar of marshmellow flluff I can’t find it in a can. Do I just use a spoon to mix it with. Thank you so much for this recipe I can’t wait to try it. 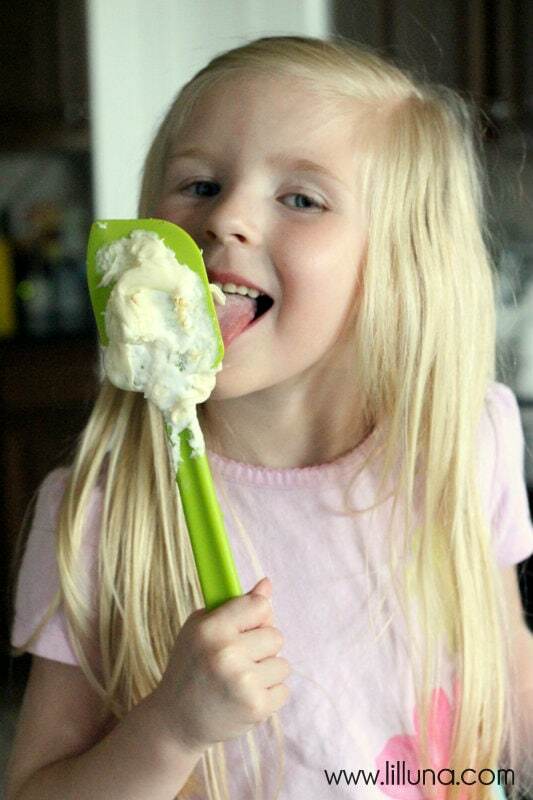 Lily – I bought the stuff to make the white choc. 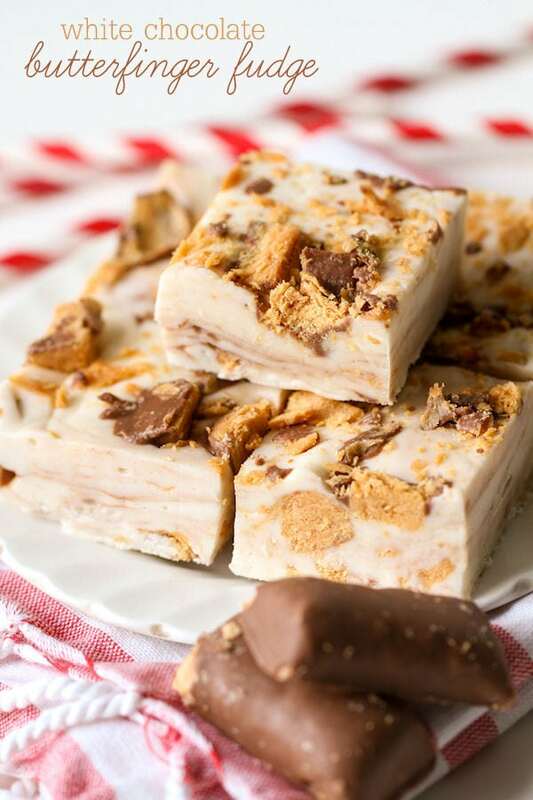 reeses fudge recipe. I got wondering if you mean the 7 oz jar of marshmallow fluff or the larger jar. I just don’t want to mess it up – it looks so good that people from church asked me to make it for a pot luck this Sunday. Ahh she is so cute! Looks amazing! Great job Lilly! Can you please specify what you mean by ‘bag’ of chocolate chips and ‘tub’ of marshmallow fluff? How much?? How many ounces is the jar of marshmallow fluff? I can get 2 sizes of jars at my grocery store. This is so fun! I was actually just talking to my daughter about her wanting to start a blog and then I saw this! I appreciate the encouragement and your daughter did wonderfully! Looking forward to next Saturday! wow! All these fudge recipes to choose from. 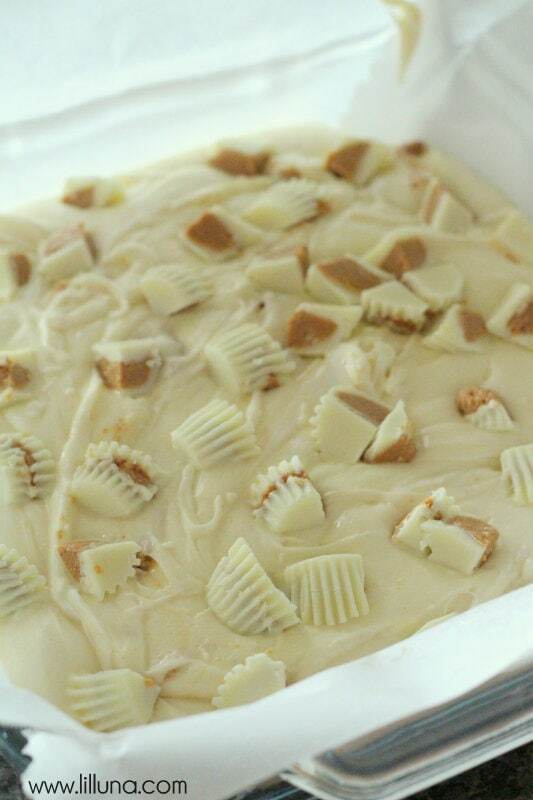 I love white chocolate so I think the reese’s white chocolate fudge is next on my list. Thanks for sharing. Yum! This fudge is right up my alley, I LOVE Reeses! Lily did a great job! Thank you, Natalie. I hope you come back Saturday cuz I have a really good recipe for you. So darn cute! GOOD JOB, Lily!! I can’t wait to make this with my littles. Love the behind the scene shot, Kris! This looks so yummy! Great job! I love that you are working with your mom! I look forward to seeing more of your yummy treats! Lily, We are so excited to read your posts each week. The girls miss their cousin and this will help them “see” you more. Excuse me while I wipe the drool off my keyboard! Oh my…what a fabulous treat! My husband would love this. This would be perfect to link up to my Create It Thursday post…it’s live now! Ohhh your fudge looks so good!!! I absolutely LOVE white chocolate Reese’s (I can never find them at stores anymore though!!!) and this sounds amazing!!!! YUMMY! I am pinning these for a splurge day! Wow! 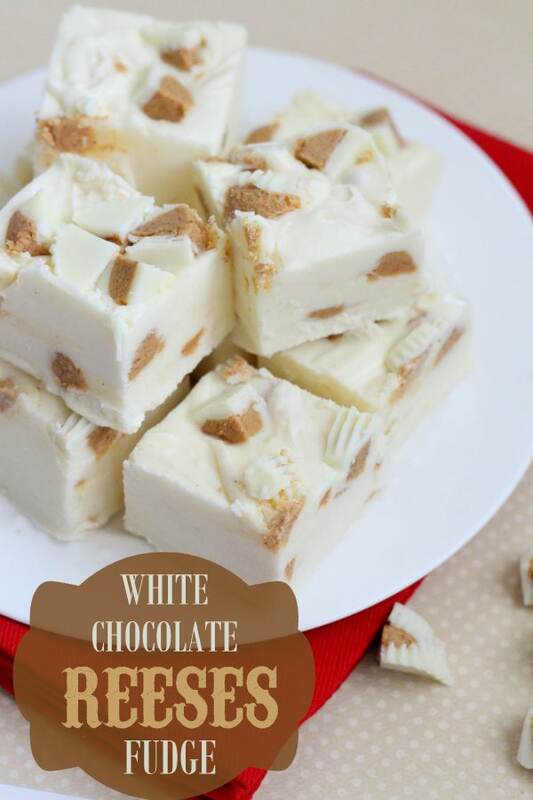 This White Chocolate Recipe looks great !! Kristyn , Your daughter Lily is so cute!! For the marshmallow fluff, is it the short or tall jar? Good question – The short jar. 🙂 Have never seen the large jar before so I assumed there was only one size. Thanks for stopping by! Super cute! I love that you got your daughter involved in your blog. I’m going to try out her recipe but I have a couple questions. What size bag of Reese’s did you use and where did you get the white chocolate ones? I don’t think I’ve ever seen those in bags. 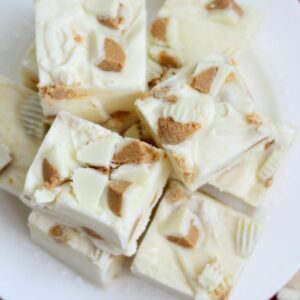 I made this fudge for our Labor Day cookout yesterday, and it was a huge hit! My mom said that it was the best fudge she has ever had (and she doesn’t say things like that willy-nilly). I used regular Reese’s cups (milk chocolate) instead of white chocolate ones, so there was a swirl of melted chocolate from the cups that were folded in. It was beautiful and absolutely delicious. Also, I didn’t read all of the comments before mine. So, I used 2 1/2 cups of morsels instead of 2 cups (one bag). It turned out so well; I am sure that I will be making it for years to come. Thanks! 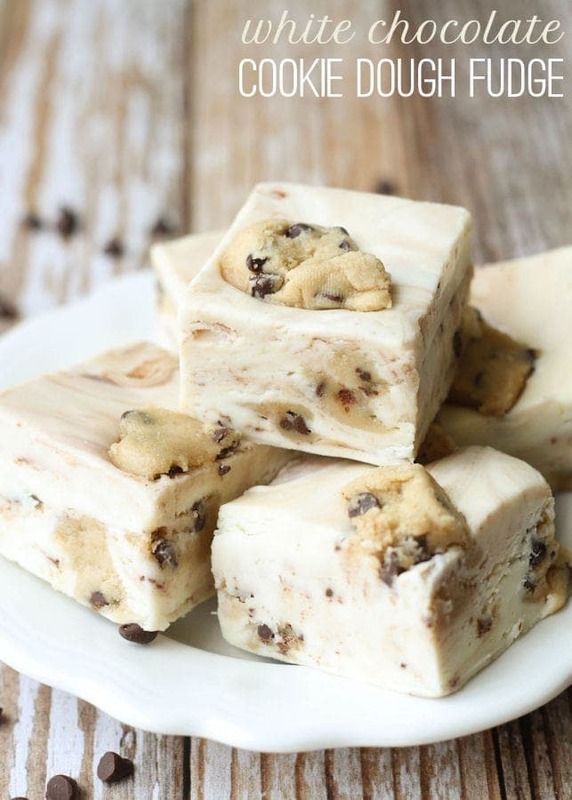 This fudge looks amazing and I can’t wait to try it! 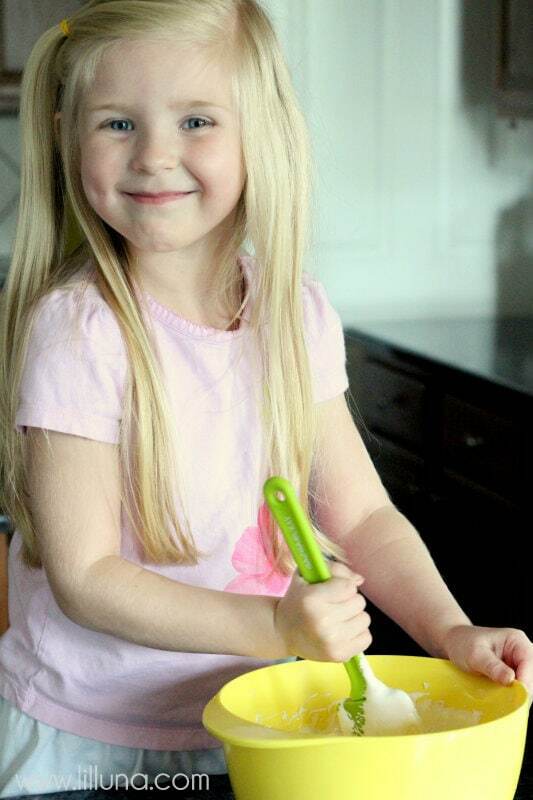 And I don’t know if I’ve ever seen a cuter baker! When you take the fudge out after 3-5 hours and serve it do you need to keep the leftovers refrigerated or can they sit out at room temperature? Hello! I can’t wait to try this recipe but I do have a question.. Will the brand jet puffed marshmallow creme work instead of fluff? 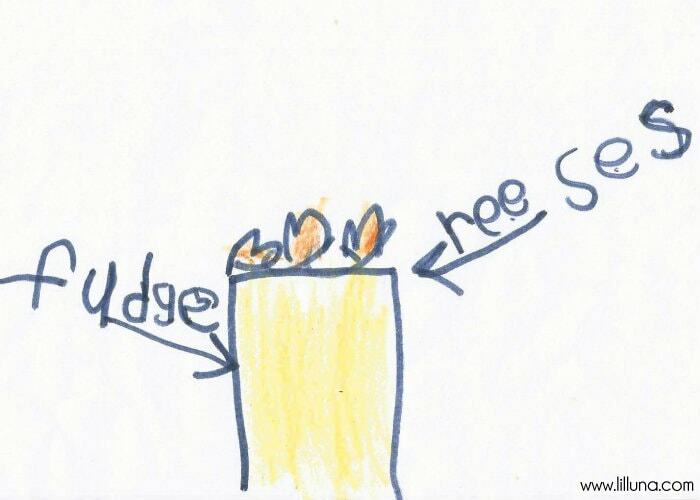 Lilly, sweetie you are just adorable and your fudge recipe looks delicious. I can’t wait to make this for the holidays! So nice that you’re helping your Mom. You’re learning two very important (and fun) skills – cooking and photography, and it looks like you’re doing great at both! 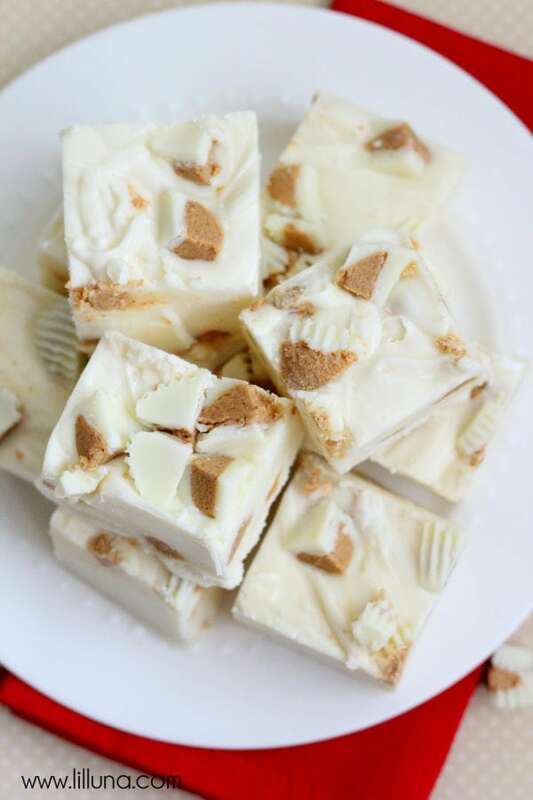 I made the White Chocolate Reeses Fudge for my husband to take to work. It was a huge hit! They keep asking for more!! I love white chocolate Reeses and I love to bake. What a great idea for fudge. and I can’t wait to try it. 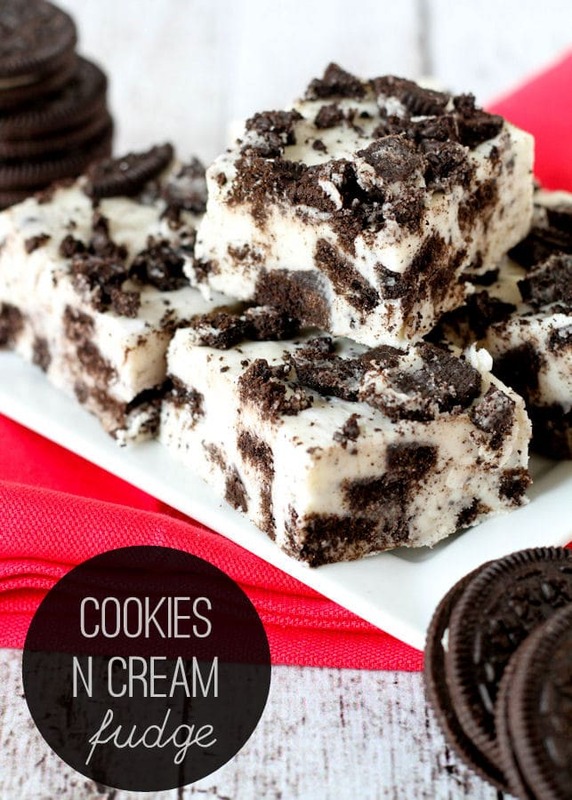 I want to try the cookies and cream too, both will make great additions to my Christmas boxes. Keep baking and taking those great photos of the results. So glad I found your website. Approximately how many Reese’s are needed? I cant find a bag. wonderful thing to do with your daughter. She will remember this all her life. How lucky to have a mom that will take the time to do this. God bless you. Is it marshmallow fluff or creme? and what size tub is it? My grandson loves to cook and I thought it would be a fun thing to spend time cooking these recipes. I will try this because I love white chocolate . I do have a question can I use white chocolate kit kat instead of whit chocolate reuses cups? I have looked everywhere and can’t find any. I knew I was going to love these, which is why I went ahead and bought ingredients to make this twice. These are by far one of the best things I’ve eaten. Super easy to make and so dag on delicious- I can’t stop popping into the fridge and grabbing one or two. Next time though, I am going to put all of the reeses inside, and omit topping the fudge. I found that many of these break off while cutting this or eating it. Other than that- simply heaven! Great job with the recipes!! Does this work without the marshmallow creme for vegetarians? Or is there a substitute of some kind? Thanks! Unfortunately, I’m not sure. I didn’t know there was a marshmallow creme for vegetarians. If you give it a try, could you let me know how it goes so I can let other readers know? Thank you! would it be possible to use the white chocolate kit kat’s instead of the reeses cup’s. i love both but would like to try it with the kit kat’s! I haven’t tried it with the Kit Kats but it should be just fine. I’ll have to try it that way too – I LOVE the white kit kats! Where did you find the white chocolate Reece’s? I have been to two major stores looking for them. Also have you tried Hershey’s peppermint kisses? Has anyone figured out if it’s the small or larger size bag of Reeses’ cups? It’s an important part of the recipe, and I’d sure like to know before starting this recipe!!! Has anyone figured out if it’s made with the smaller size bag or the larger of the peanut butter cups? I’d sure be nice to know an important part of the recipe before starting it!!! I am! ???? lol I love white chocolate! Then you’ll have to try this! Let me know what you think! Hi. I want to use this recipe for a baby shower. I have found the regular size white Reece’s cups ( there are 24 in the bag, and a bag with 40 something mini white wrapped Reece’s. Which do I need to order? The regular size ( 24 seems like a lot) or the mini? Thank you. I used the mini ones, but honestly either would work. I would just cut more from the regular size ones. Hope that helps! !